There are many situations in which "too much of a good thing" is a real possibility. Even the things we love can get tiresome if we experience them in excess, like eating chocolate at every meal or listening to a favorite song 24/7. 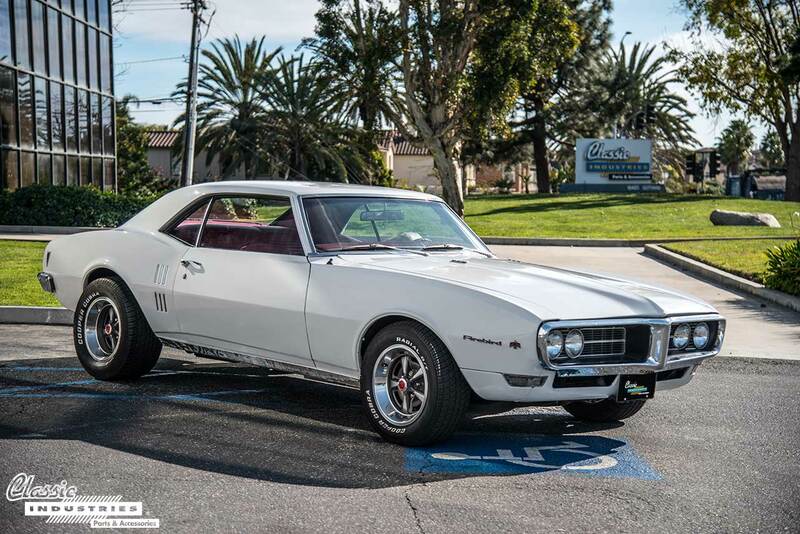 But for Katina Kaliterna, of San Pedro, California, this logic doesn't apply to her restored 1968 Firebird. She drives it every chance she gets, racking up miles with a smile on her face. 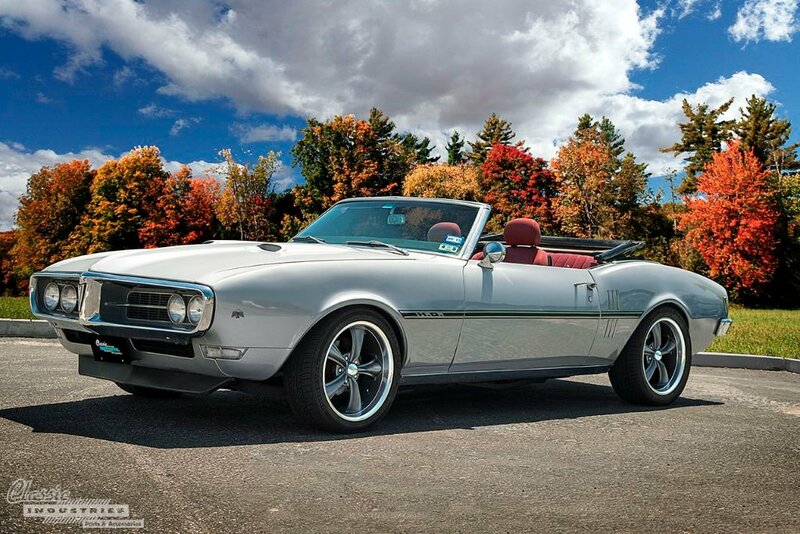 Take one look at the beautiful Pontiac, and you'll understand why she feels this way. The fourth-generation GM F-body is a performance bargain, and a platform that has been steadily garnering more appreciation as the years pass. This includes both Camaro and Firebird/Trans Am models. While some may claim the fourth-gen cars are too new to be considered classics, we can remember the same being said about third-gen and even second-gen models in past decades. As far as we're concerned, the fourth-gen is definitely worthy of respect and appreciation. As the saying goes, patience is a virtue, and few are more acutely aware of this than those who save up for years to afford a dream car. It's not easy to deliberately set aside a portion of every paycheck and leave that money untouched until the day it can be handed over in exchange for the keys to the classic car you've always wanted. But Connor Schwarz, of Huntington Beach, CA, did just that in order to purchase his 1978 Trans Am. 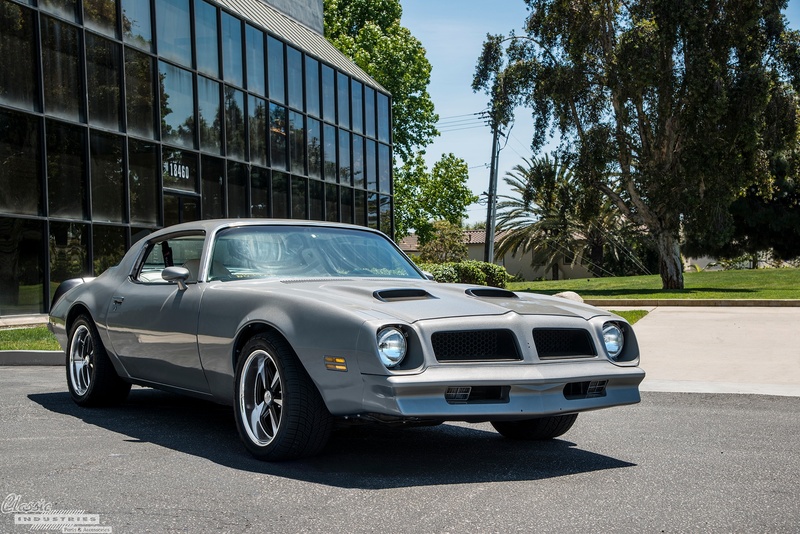 As production of the groundbreaking first-generation Pontiac Firebird wrapped up after three successful years, GM would continue to sell the original F-body cars throughout 1969 and into the earlier months of 1970. Then, partway through the year, the automaker introduced the second-generation Firebird. As a result, some would call this new car a "1970 1/2" model. California is a friendly environment for classic cars due to its mild and sunny weather conditions year-round. Snow, ice, and salted roads are virtually nonexistent, and even rain is a rare phenomenon. This means that the Golden State is a great place to find survivor vehicles that have been preserved in excellent condition since the day they rolled off the production line. 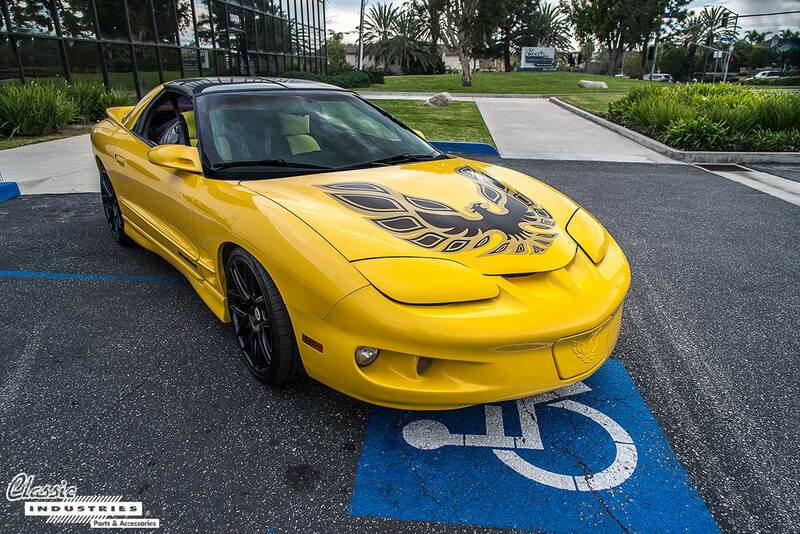 The name Firebird implies an avian creature with mythical capabilities, and the name Firehawk takes that bird's capabilities to the next level. A hawk doesn't just glide effortlessly through the air, it actively hunts down its prey. 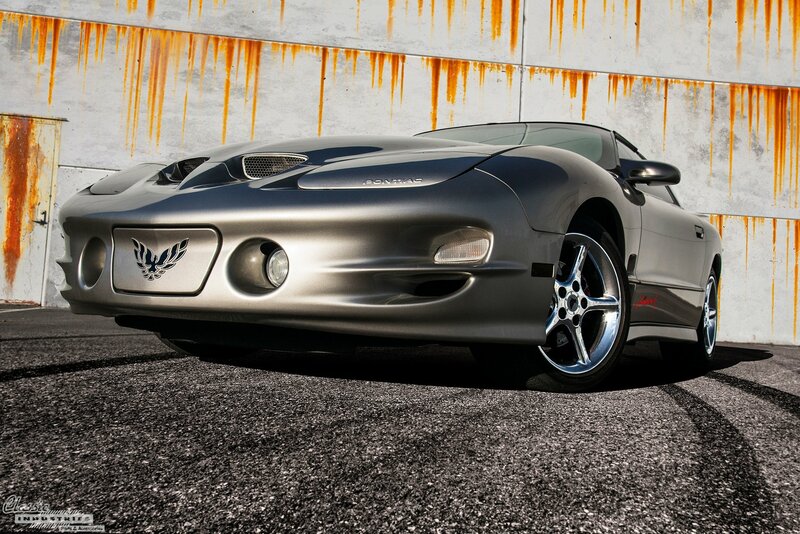 With this in mind, Firehawk is a fitting name for a special line of Pontiac vehicles that took the Firebird to a higher level of performance. 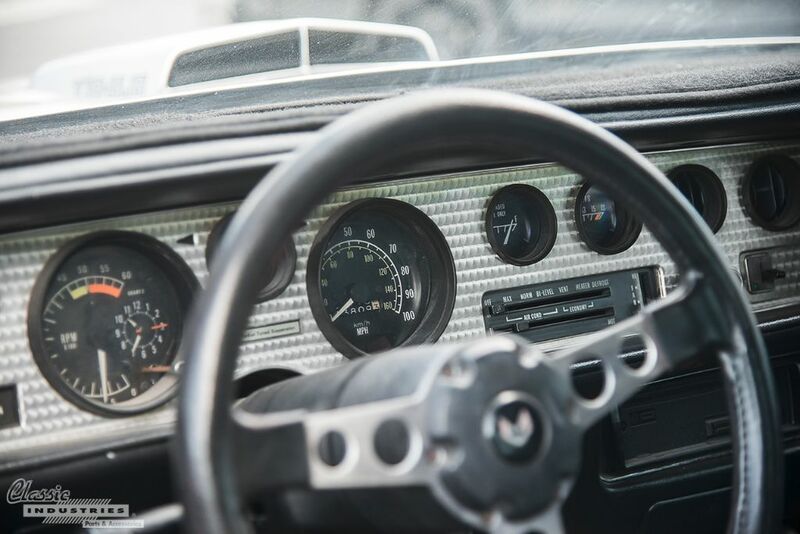 When you own a classic car with sleek body lines, glistening chrome, and a roaring V8 engine, it's bound to turn some heads as you drive around town. You're not driving a beige Camry, after all. So why not take it to the next level, and throw subtlety aside completely? 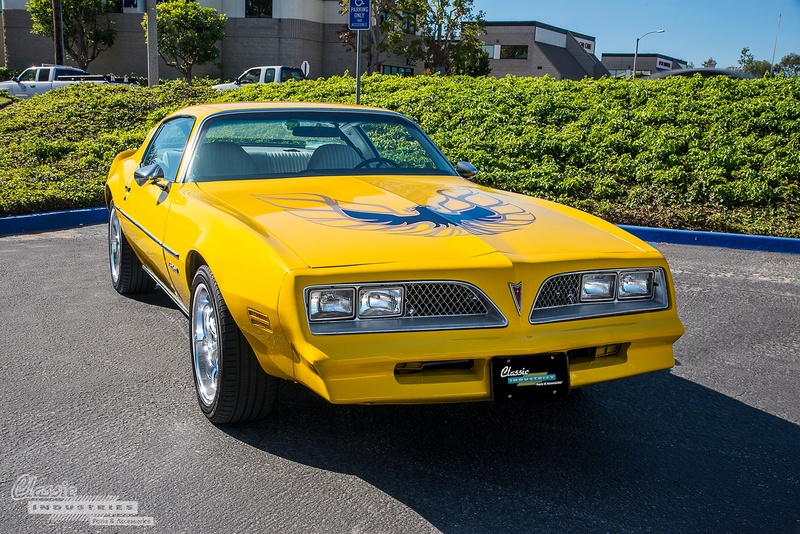 That's what Onesimo Lopez, of Santa Ana, California, did with his 1977 Firebird project. 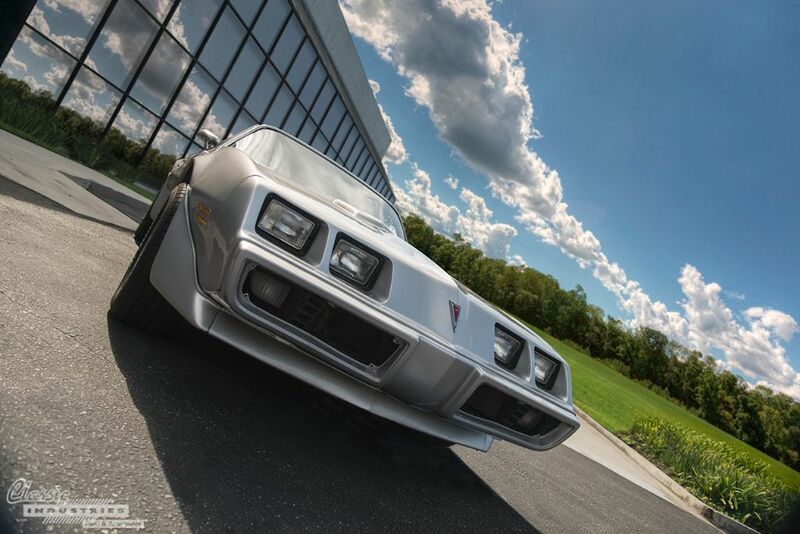 In 1980, Pontiac made the difficult choice to drop all large-displacement engines from its Firebird and Trans Am lines as a result of increasing emissions restrictions. This made 1979 the "last hurrah" for the 400ci V8 and 403ci V8. The following model year, they were replaced by the 301ci Turbo and 305ci motors. 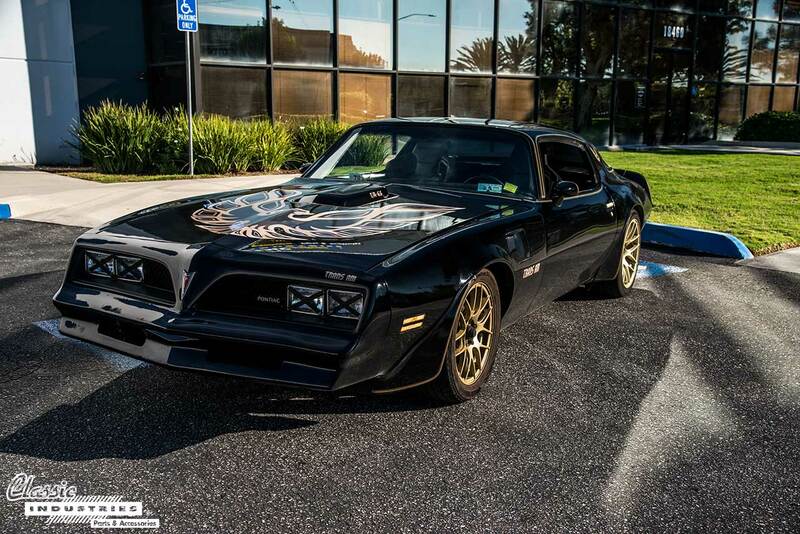 This 1979 Pontiac Trans Am belongs to Alfredo Chavarin, of Corona, California. Alfredo has owned the car for about six years, after buying it from the previous owner in decent mechanical condition. The California sun had done a number on the Pontiac's paint, so Alfredo proceeded with a full frame-off restoration. 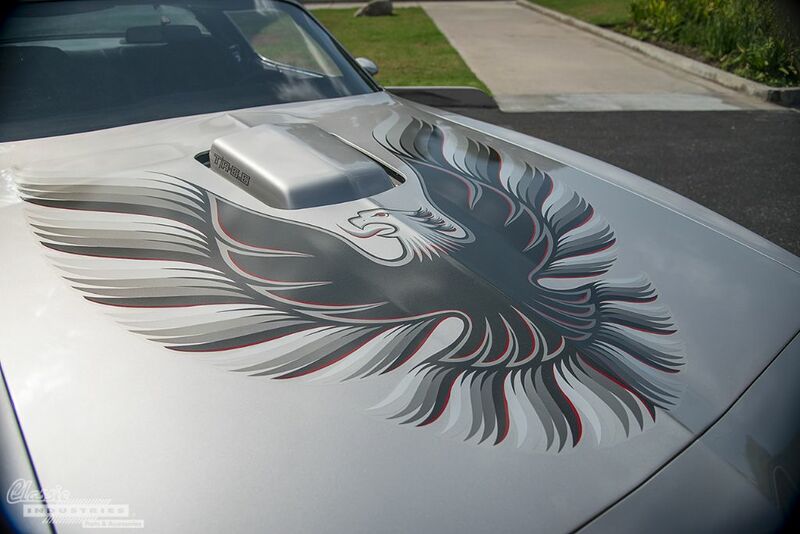 The Trans Am was repainted in its original shade of silver, and new decals from the Classic Industries Firebird & Trans Am catalog were applied. Alfredo says he still needs few minor parts, including replacement grill hardware, but the project is coming along nicely. He also plans to install a set of reproduction 17-inch wheels for a modernized look. Every classic car restoration project has a starting point. Sometimes it's a rusty basket case sitting on cinder blocks in a backyard, other times it's an excellent-condition survivor that just needs a few replacement parts. More often than not, projects start somewhere in between these extremes, with a running and driving car or truck that's a little rough around the edges. Dan Svegliato, of Long Beach, California, is a die-hard classic car guy. 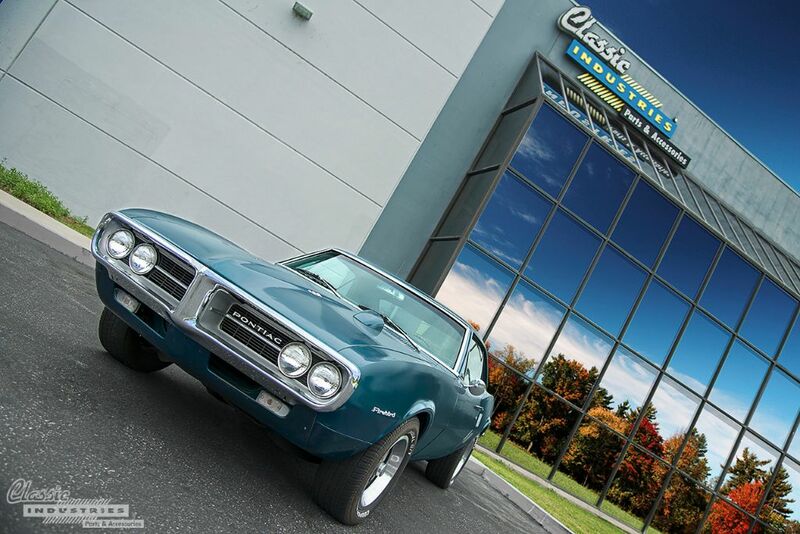 When he pulled into our Retail Showroom parking lot in the stunning 1968 Pontiac Firebird seen here, we started talking, and Dan began rattling off his previous project cars. Among them were a '67 Firebird, a '70 429 Cobra Jet Ranchero, and a Texas Highway Patrol Mustang designed for high-speed pursuits. 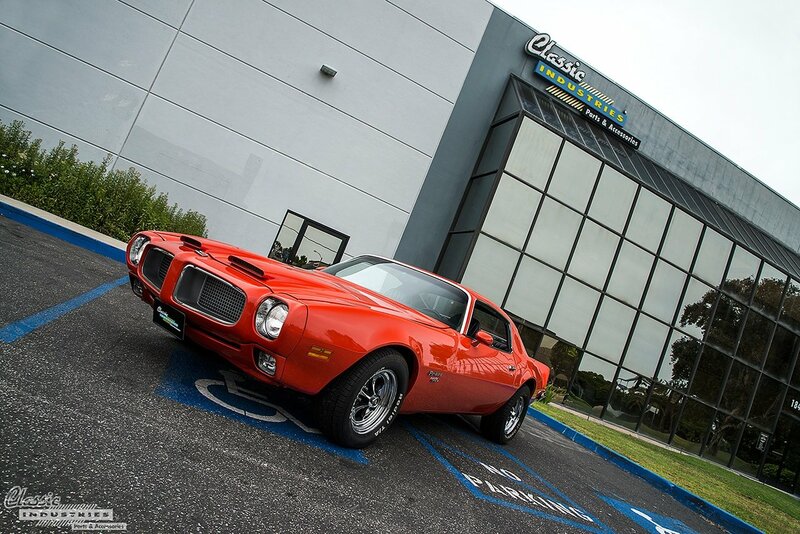 Recognized as the undisputed leader of the Restoration Parts industry, Classic Industries is one of the largest and respected distributors of reproduction, performance and original GM and MOPAR parts and accessories in the industry. Located in Huntington Beach, California, Classic Industries has provided over 1,000,000 customers with parts and accessories they've needed to restore their vehicles for over four decades.